There were eight people died after a tour bus overturned and caught fire at KM326 of North South Expressway in Tapah. It was believed that the bus was trying to avoid the tyre on the road and then hit a car parked on emergency lane, before it plunged into a ditch and burn into flames. The Academy Awards nominations were announced last Thursday morning with Birdman and The Grand Budapest Hotel lead the race for this year Oscars with nine nominations each to top all films. They were joined in best picture nominations by The Imitation Game, American Sniper, Selma, The Theory of Everything and Boyhood. The awards ceremony will take place on 22 February, at the Dolby Theatre in Hollywood, Los Angeles with Neil Patrick Harris as host. Nominations for the 87th Academy Awards were announced from Beverley Hills, where they were broadcasted and streamed live at Youtube. Boyhood nominated for Academy Awards Best Picture this year. Nominated for the Academy Awards Best Picture this year, Boyhood depict a boy from Texas growing up in a real time and provides an indelible lives of on Texas family. 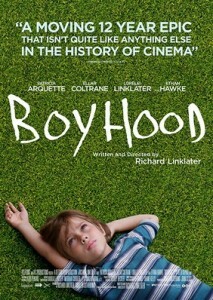 Boyhood became one of the hot topic of media buzz when the director Richard Linklater revealed that he had been working on a movie for 12 years, by using the same cast including the leading actor Ellar Coltrane who play the role Mason. David Sexton from London Evening Standard said that Boyhood is not just a genuine epic, not just beautiful and moving, it looks like a classic already. As this movie has taken the top of honours at the Golden Globe Awards, Boyhood has now hoping for winning the Oscars Best Picture this year.